If you are contemplating suicide, please talk to someone now! preventing future risk of suicide among those who have lost a friend or loved one to suicide. The National Action Alliance for Suicide Prevention’s Faith.Hope.Life campaign engages faith leaders and faith communities to promote the characteristics common to faith traditions that also help prevent suicide. Visit their website at the link above for more information. 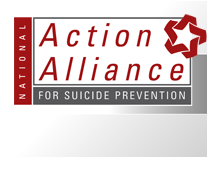 While you’re there, check out the National Alliance’s website for the Weekend of Prayer for Faith, Hope, and Life(September 7-9) for more resources about suicide prevention. Learning to be a Prodigal Father, reaching out to those children of God who are in ministry in order to embrace them with His love and healing.